Visual Studio Code>Themes>Gantheory ThemeNew to Visual Studio Code? Get it now. 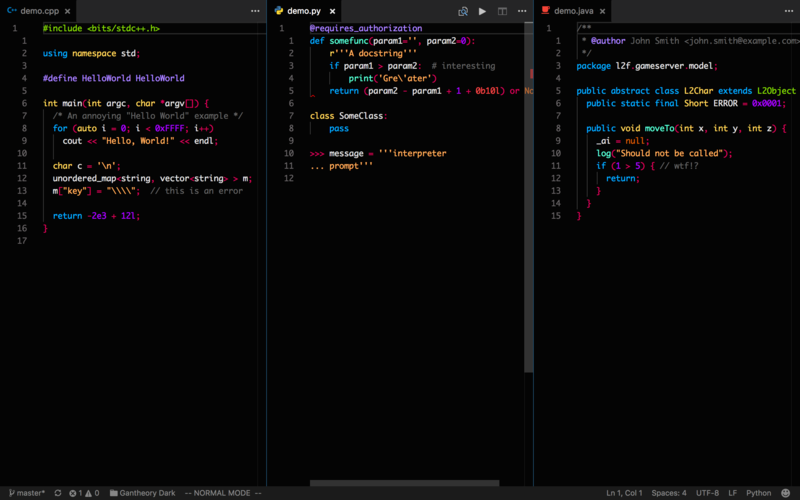 Gantheory theme is a dark theme for Visual Studio Code. This theme customizes colors in the editor, workbench and integrated terminal. If you find some missing highlight or have any other suggestions of this theme, feel free to submit an issue! Fork this repo and submit pull requests.